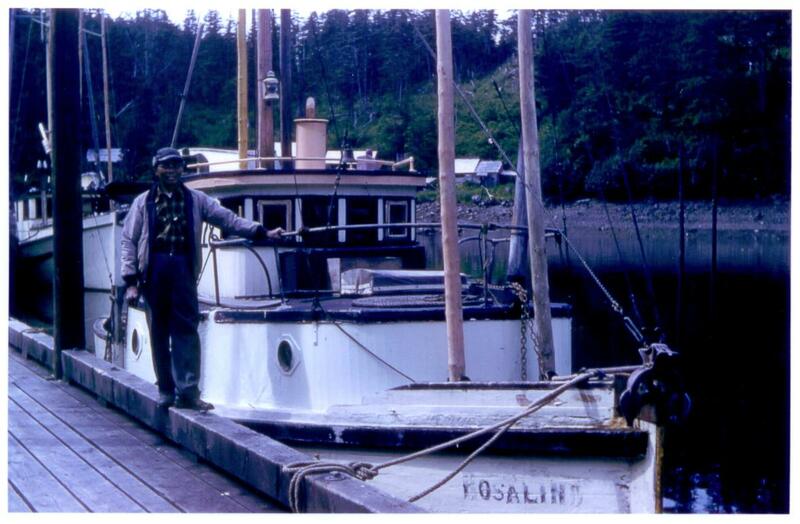 In this edition of Funter Bay History we return to the topic of commercial salmon fishing. 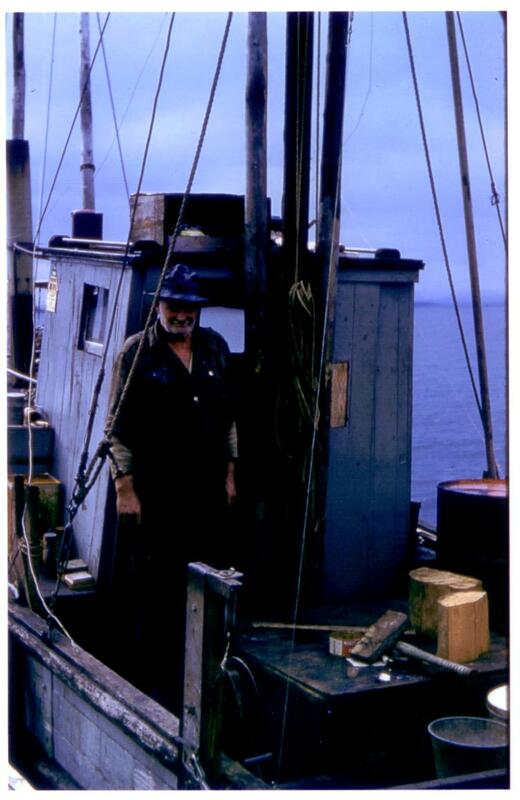 A local fisherman very generously provided some photos and information about Funter Bay in the 1960s, which make up the bulk of this post (Previous posts on this topic are in Part 1 and Part 2). 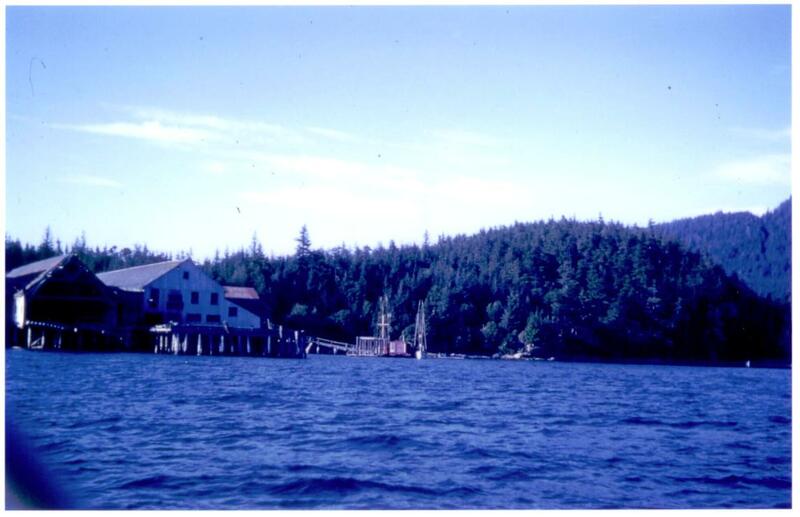 A closer view of the cannery dock and scow, with one of the cannery bunkhouses in the background. 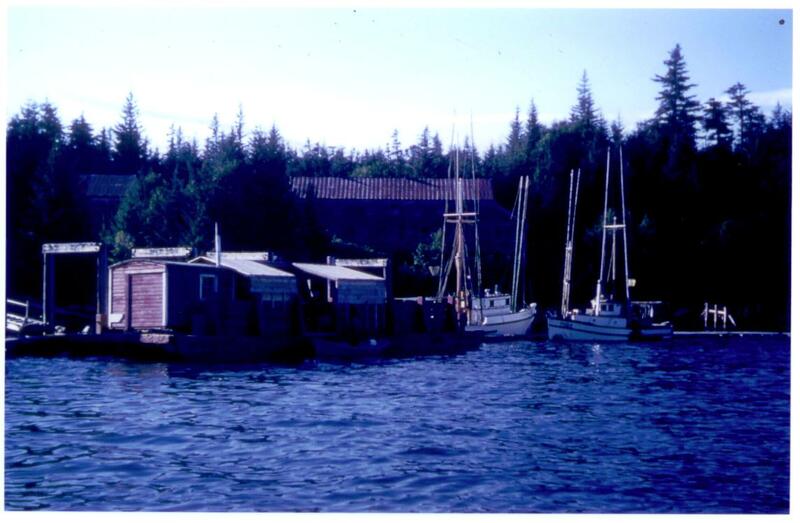 The red structure with curved roof on the near end of the scow appears to be a former fish trap watchman’s shack, these were frequently repurposed and some can still be found in use around Funter Bay. 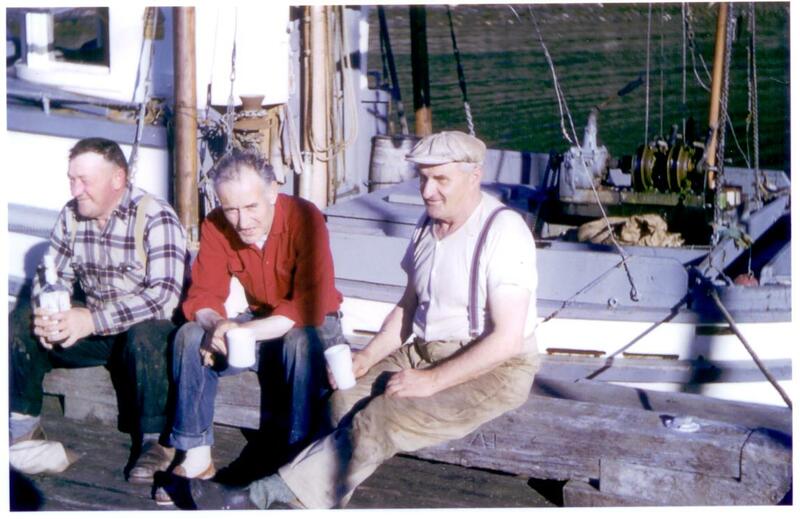 Fishermen (L-R) Walt Mackey, Ken Lameroux, and Jack Kolby, having an afternoon drink at the dock (of “milk, no doubt” according to the source!). Walt’s boat the Elliott is behind them. Ken fished the Lillian L, and Jack fished the Ruby. The fish trap at Lizard Head (the contentious Claire Alexander fish trap mentioned in this post). 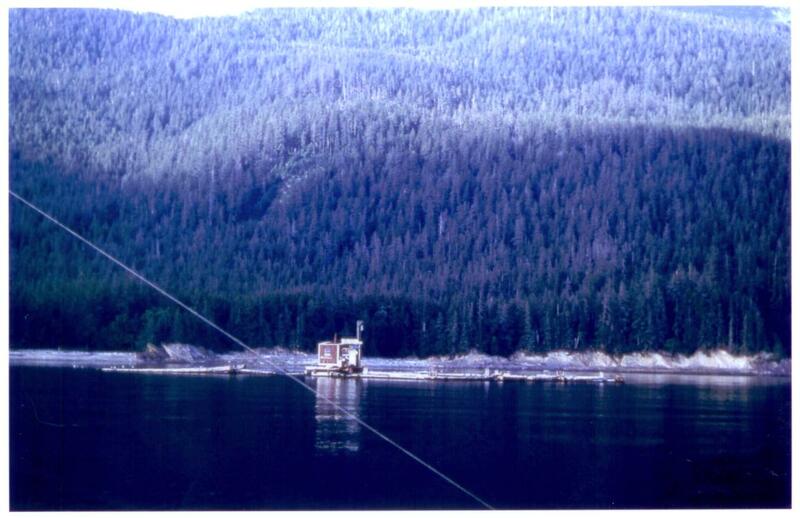 This photo is from around 1958, the trap was removed when Alaska became a state in 1959. The structure on top is the watchman’s shack, the trap itself is made up of the low floating logs. Above is “Dirty Foot Al”, so called because he didn’t wear shoes. Al built his own boat on the beach and heated with wood, you can see blocks of firewood and his axe on deck (oil heat using the same diesel as the engine was more common). A 1955 newspaper article (mentioned in the Bayers notes) described the ferry Teddy abandoned at Funter Bay after experiencing engine trouble. 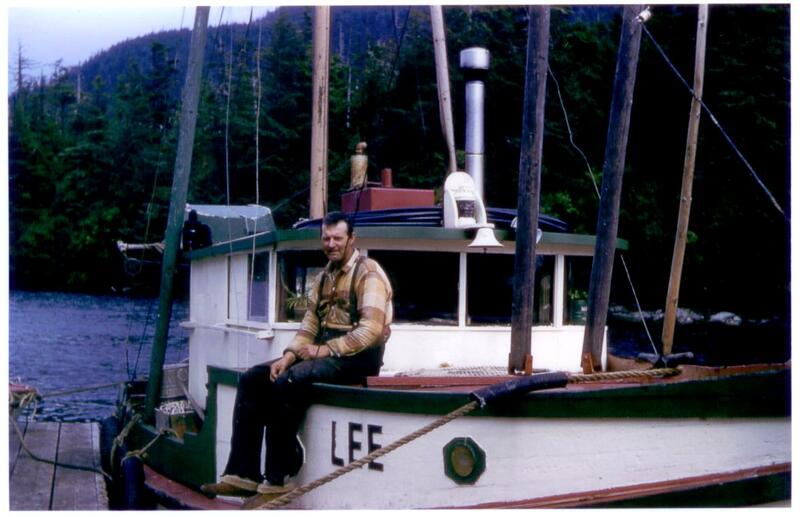 The owner reportedly went on to fish the “Lee”, but their name is not given. Jack Kolby (or Koby?) fished the Ruby, seen above at Elfin Cove. Jack was reportedly of Swiss background, and loved to tell stories. the Rosalind was owned by a man named Ben, seen above. Here we see Walt Mackey delivering a loaf of bread to “Crackerbox” Mac. Mac got his nickname from a previous boat, which apparently was not very pretty. Mac’s boat seen above was equipped with a Model A Ford engine. Above is Walt Mackey again, having “a bit of some unknown substance”. 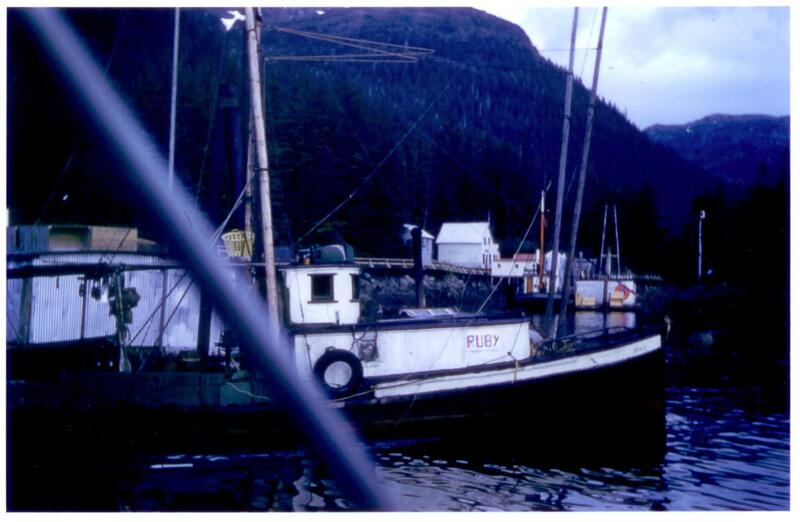 Funter Bay had two state floats, both of which were used by local fishermen. The season generally ran from May 1 to late fall. Many of the boats would start early, and quit early, coming back in by 2 or 3pm. Then the crews would sit around with their “milk” telling stories or comparing how much money they’d made for the day. They would also visit with local residents in the bay. 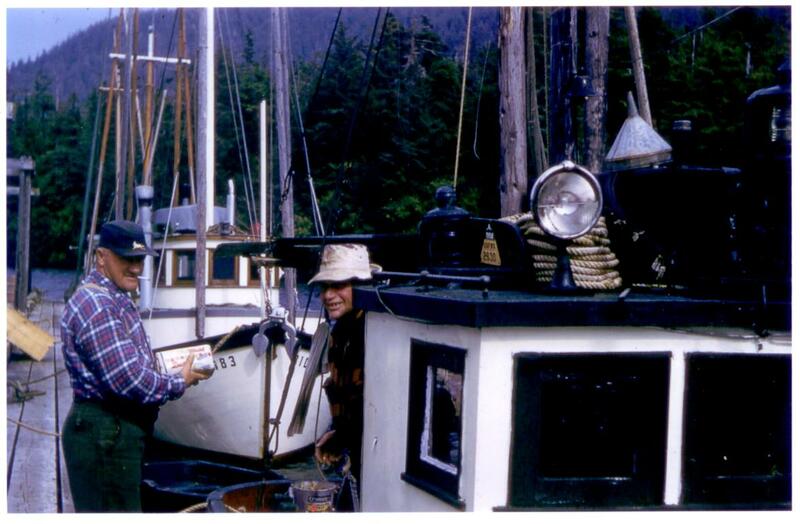 Sometimes they would set herring nets overnight to catch bait. In addition to the people shown above, other fishermen at Funter during this time period included Charlie Tubbs, Norton Sorrell of the Grey Mist (later bought by Charlie), Ned Albright of the Ommney, and Ted Samples of the Diver. Ted and his wife trolled, and the Diver had a compressor and “hard hat” rig for underwater work. 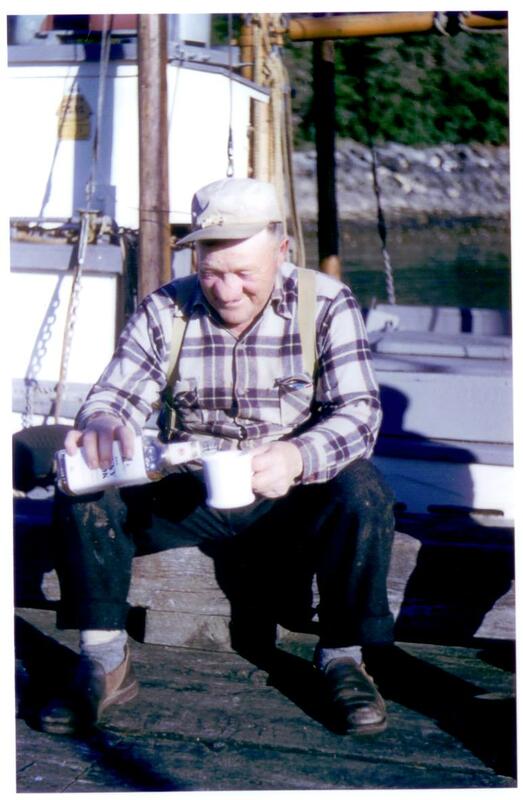 Ted installed and repaired fish traps when he wasn’t fishing. A man named John had a small double-ender with a noisy 2-cylinder motor. Others who frequented the float, but didn’t always fish at Funter were Al “Scram” Schraman of the Aurora, Santiago Cesar, Mac of the Helen M, and Ike Puustinin of the Julia D.
One story of float hijinks involves a fishermen who somehow became a little drunk one night. The fellow kept a pee can just outside his wheelhouse door for late night calls of nature (these are fairly common on boats, both for convenience and safety, as you don’t want to stand at the rail drunk with only one hand free) Someone filled the can almost full of alkaseltzer tablets, and when the still-drunk fellow used it, there was a lot of unexpected foaming! The poor victim must have thought he had some terrible problem “down there”! This entry was posted on Tuesday, March 18th, 2014 at 12:58 pm and is filed under Funter Bay History, Funter Bay People. You can follow any responses to this entry through the RSS 2.0 feed. You can leave a response, or trackback from your own site.